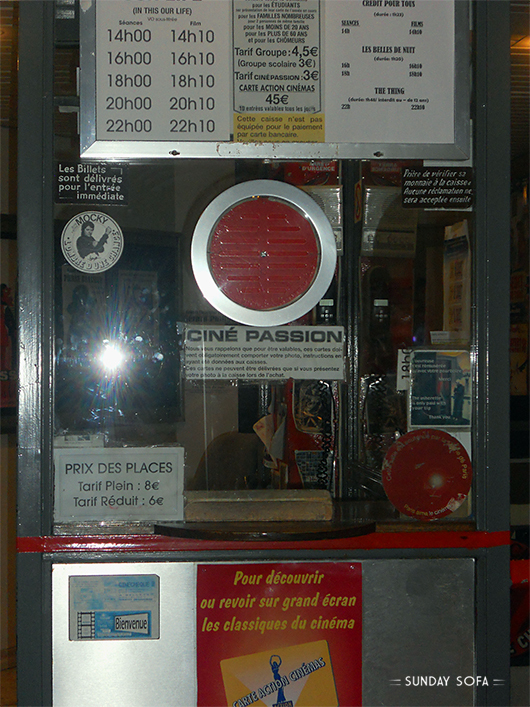 Paris is one of those (few) cities where people of all ages line up in front of cinemas on saturday night. Often the line is surprisingly long. When I’ve found a long line even in front of a small cinema such as Le Desperado, the first thought was that everyone was affected by a “sophistication” fever. But then I got a bit closer and I started to find out. 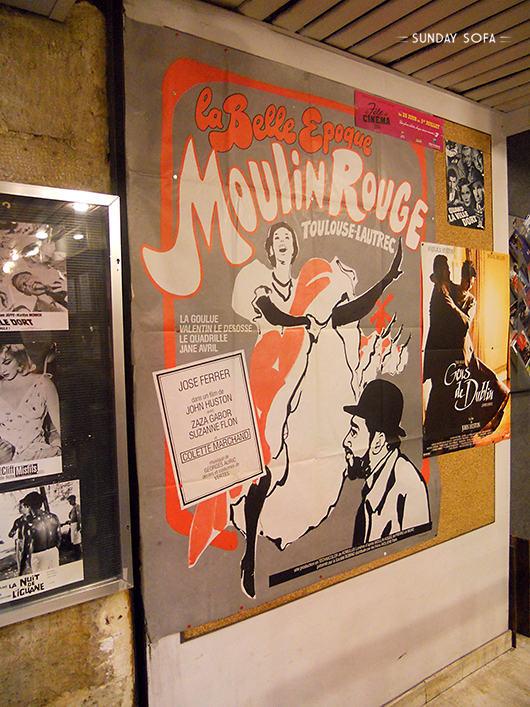 This little cinema is located, ça va sans dire, in the Latin Quarter. From the early afternoon you will find only classical movies and that comforting sense that “outmoded things” alone can restore. 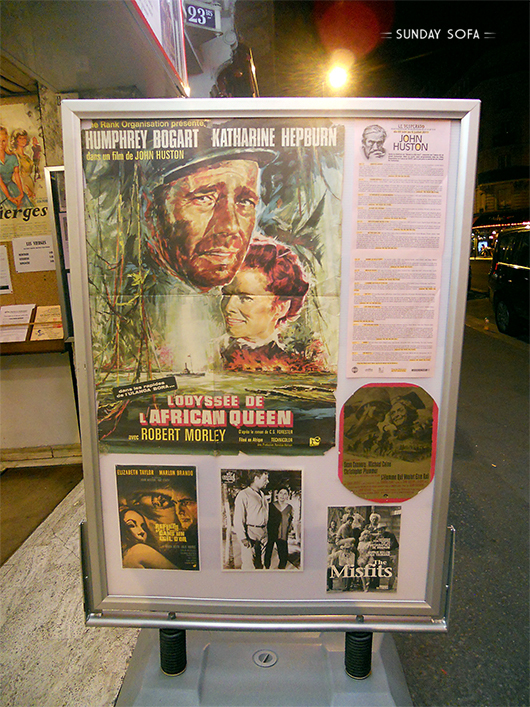 Looking at the posters for the scheduled movies I understood the true love Parisians have towards cinema, considered as a place to spend pleasant hours. That is an infectious love that makes you gladly wait your turn at the box office.